Lee Miller was an American photographer who worked for British Vogue during the Second World War. She started working as a model, but was eager to move behind the camera. On the outbreak of war in 1939, Miller offered to work as a photographer for Vogue – an offer that was initially rejected. Instead, she was taken on as a studio assistant. But as the magazine's male photographers left on war service, she began to take on much of Vogue's fashion and lifestyle photography. The government understood that women's magazines played an important part in helping their readers cope with the changes and challenges brought on by wartime shortages, clothes rationing and women entering the workforce in larger numbers. The Ministry of Information worked closely with these publications, including Vogue. This relationship would inform much of Miller's work for the magazine. 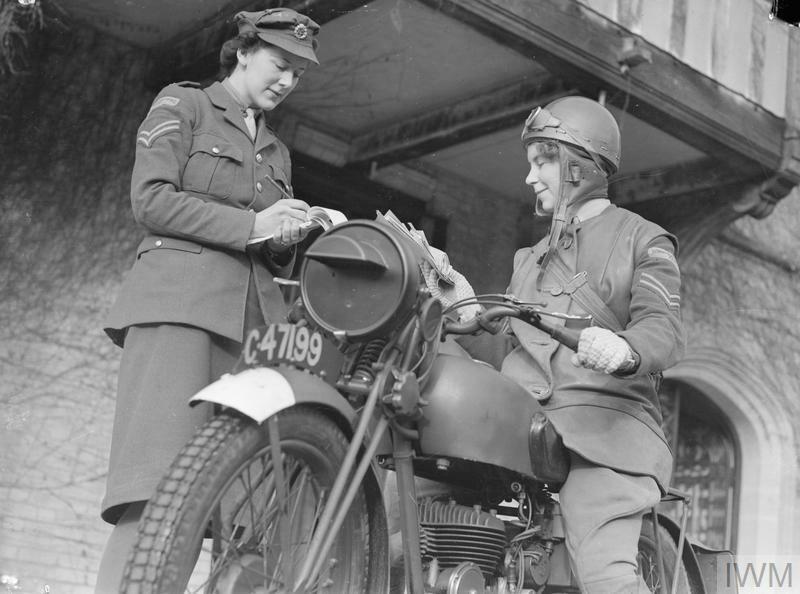 After the conscription of women was introduced in December 1941, women were given a choice of working in industry or joining one of the auxiliary or nursing services. Miller produced several photographic series on women who were contributing in many ways to the war effort. This photograph shows Lady Mary Dunn with an evacuee who she cared for at her home on Castle Farm in Buckinghamshire. Lady Dunn also hosted exhausted Civil Defence workers in need of a country break. Lee Miller in steel helmet specially designed for using a camera, Normandy, France 1944 by unknown photographer. Photographer Unknown © The Penrose Collection, England 2015. All rights reserved. As the war progressed, Miller moved from studio photography to reporting in the field. She was one of just four female photographers accredited as official war correspondents with the US armed forces. Miller arrived in Normandy in July 1944, a month after the Allies launched their invasion of Nazi-occupied Europe. No female war correspondents had been allowed to accompany the Allied Expeditionary Force during the initial phase of the invasion. Her first assignment was to report on American Army nurses working in a field hospital near Omaha beach, one of the two American assault beaches. A failure in military communications found Miller at the heavily beseiged St Malo in August 1944, where she witnessed the American assault on the German-held port. Women war correspondents were typically prohibited from the front line, making Miller's presence as the only photojournalist – male or female – at St Malo during the assault even more remarkable. But Miller's presence in St Malo was unauthorised and broke the terms of her accreditation. When she was discovered by Allied commanders, she was placed under temporary arrest and later barred from the front line. In this photograph, taken in Normandy in July 1944, Miller poses wearing a customised steel helmet belonging to a photographer with the US Army. The visor was specially designed to allow for the comfortable use of a camera. Woman accused of collaborating with the Germans, Rennes, France 1944 by Lee Miller © Lee Miller Archives, England 2015. All rights reserved. In August 1944, Miller accompanied Allied forces during their advance through north-west France. Her photographs from this period capture key elements of the country's occupation and liberation. The woman in this photograph was accused of collaborating with the Germans. She is pictured here during an interrogation, just before being marched through the streets in a public display of retaliation in Rennes, France. Women accused of collaborating, particularly those who had been involved in relationships with Germans, were publicly shamed. Their heads were shaved and, in some cases, their foreheads marked with swastikas. They were then paraded through the streets of their towns or cities, where they faced verbal or physical attacks from local residents. Their shaved heads remained an easily identifiable marker of a 'collaboratrice'. Lee Miller in Hitler's bathtub, Hitler's apartment, Munich, Germany 1945. By Lee Miller with David E. Scherman © Lee Miller Archives, England 2015. All rights reserved. Miller also accompanied Allied forces as they advanced into Germany in early 1945. It was here they discovered the horrors of Nazi atrocities at Buchenwald and Dachau. Miller's photographs of the German concentration camps are some of her most powerful and the scenes she witnessed there left a lasting impression on her. This photograph of Miller in Hitler's bathtub was taken on 30 April 1945, just hours after Miller returned from Dachau. The composition was carefully arranged by Miller and David E Scherman, a close friend and fellow photojournalist. A portrait of Hitler, who committed suicide that day, rests on the edge of the bath and her boots, still covered in the mud of Dachau, are deliberately left on Hitler's bathmat. Miller rarely spoke of her wartime experiences, which took a severe emotional toll on her. It was only after her death in 1977 that her son discovered her work, hidden in the attic of their family home. Reporting on D-Day and the campaign in north-west Europe offered an unprecedented opportunity for correspondents. The BBC set up a specialist War Reporting Unit in 1943 to train and organise its reporters for what was expected to be the most significant campaign of the war to date. 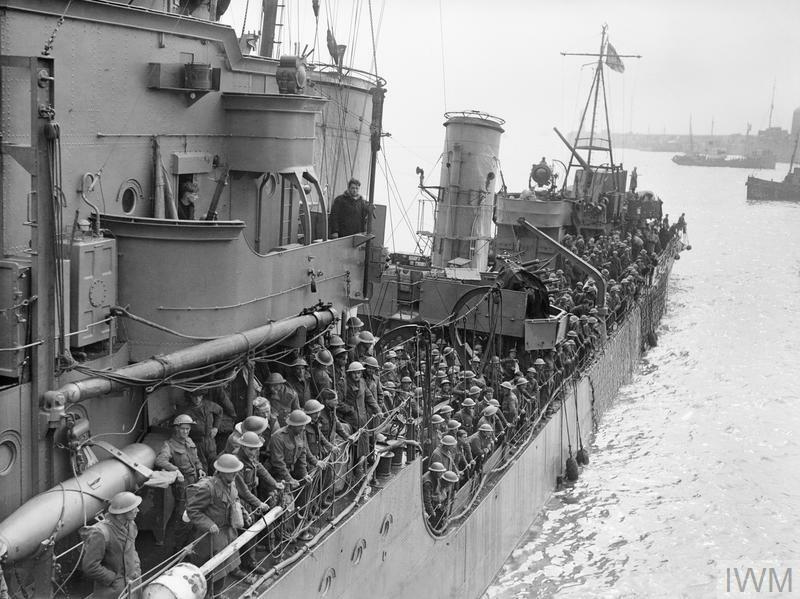 When the Second World War broke out in September 1939, just one Army photographer, Geoffrey Keating, and one cameraman, Harry Rignold, accompanied the British Expeditionary Force to France. On 24 October 1941, the Army agreed to form a corps of trained photographers and cameramen.